Huper Optik Window Tint - Blowout Inventory Sale - EVS Motors Inc.
Take advantage of our Huper Optik Window Tint Sale! 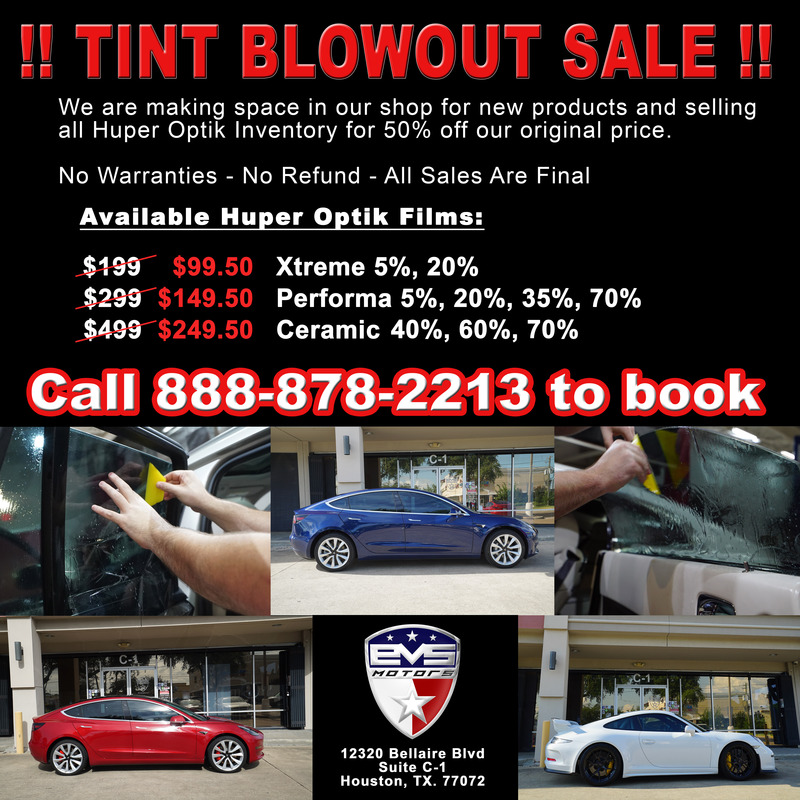 Take advantage of our Huper Optik Window Tint Inventory Sale and get a high quality film for a fraction of the cost. If you were waiting for a sale to get your windows tinted, this is your opportunity. Huper Optik has been a high quality tint and around for many years. Their groundbreaking work on the first full Ceramic window tint made their name be well known. This is a fantastic film that provides UV rejection and some heat rejection. It does not bubble or change colors like cheaper tints. The image above shows you all shades available and the proper prices for regular sized vehicle (coupe/sedan). If you have questions regarding the films itself call us to speak to a specialist. If you want to take a look at our highest heat rejecting films click here and here .